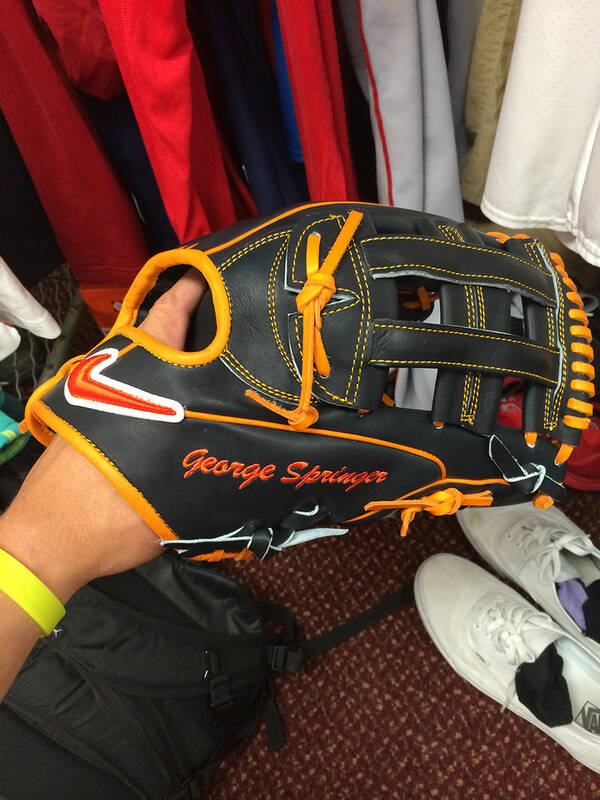 George Springer, the #21 prospect in baseball and a guy who nearly went 40/40 in the minors last year, sent us some great shots of the Nike gloves he just got in today. He shared this one on Instagram, which looks a whole lot like Carlos Gonzalez’ from last year (UPDATE: Springer has since deleted this). EDITOR’S NOTE: We’ve been asked to remove the images of Springer’s Hyperfuse glove. Expect more from WPW on this as the season progresses. Though we had to remove the photos, just know that the Nike Hyperfuse glove is definitely from the future. This more standard Astro-colored H-Web is maybe a little less Robocop but still a beautiful glove. We’re hoping to see this one in Houston asap as Springer is expected to join the Big club this season. Fellow top prospect (#23 in baseball, #1 in Jays org.) and Nike athlete Aaron Sanchez also sent us a shot of his NIKEiD Gamers, Nike Diamond Elite leather, and threw in his IonMe Negative Ion bracelets. These are popping up on top prospects wrists all over the league. Check them out at this link for more info. Thanks a lot to Springer and Sanchez for sending these through—be sure to follow them on Instagram (Springer, Sanchez). 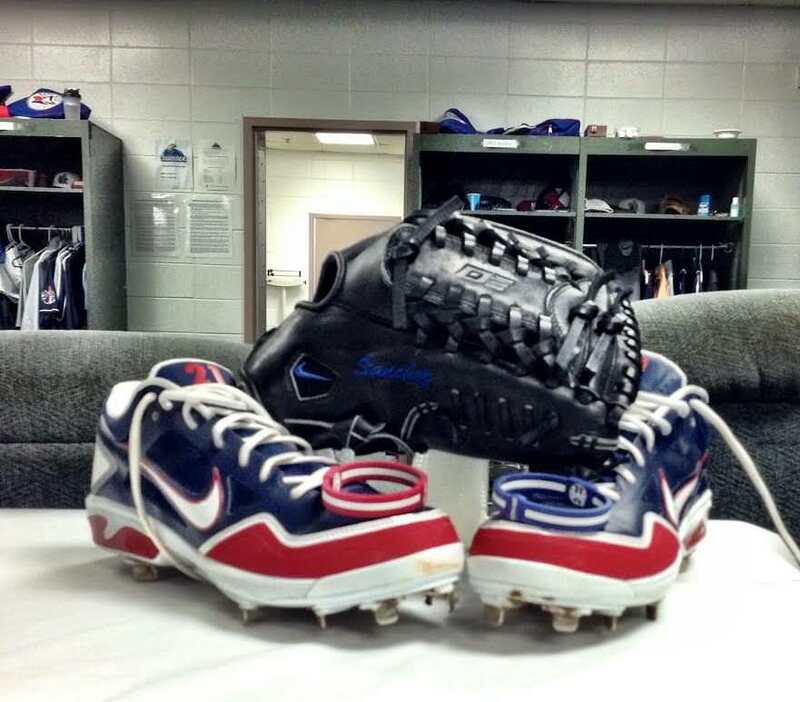 That’s the glove that Cargo used!!!! You found it Mike!!! Haha thanks Tyler! Yeah I am pretty pumped to see it up close. Such a unique piece of equipment. Why were you asked to remove the photo of his original Nike Hyperfuse glove?